The controller of an apparel chain stores company has had it with having to manually import GL data from their Full Circle ERP for Apparel & Footwear and then compute, consolidate and format the financial statements in Excel. The manual process was cumbersome, time-consuming and error-prone. The controller, along with the company CFO, began her search for a software developer to automate the process that would free up their valuable time. Having the first-hand understanding of the intricacy of the process, and need for 100% accuracy, they were skeptical of finding the right person. Essentially they were looking for someone who not only knows how to design the ETL but also knows how the EBITDA is calculated; someone with knowledge of financial reporting and expertise in automated data import and reports generation. Then their IT director introduced them to IQubz, a BI consulting company specializing in ERP data import, data warehouse design and custom reports development. IQubz carefully studied the required reports structure of the client’s financial accounting reports, including Trial Balance, Income Statement (Profit & Loss), Cash Flow Statement and Balance Sheet. The team developed and scheduled an automated routine to export the requisite data from Full Circle ERP, developed custom reports matching the client’s report layouts. Users can connect to the secure reports portal to view and download a report. Users can also subscribe to an email delivery of a report as an Excel attachment. 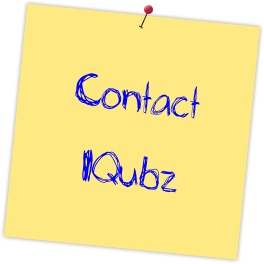 IQubz used Microsoft SQL Server database, SQL Server Integration Services (SSIS), SQL Server Reporting Services (SSRS) to accomplish the development and deployment.